Chez Poulet began as a collaborative personal project between Heather and her husband - she designed, he built. When it was featured in Country Living Magazine, requests came flying in - people wanted a coop just like theirs, and it's easy to see why. Its elegant, approachable design, and beautiful architectural detail is the perfect addition to any backyard. Scroll down to see more photos and to purchase architectural plans to build your very own! A professional working set of architectural plans to build your very own Chez Poulet. Plans include 7 pages (11x17) with more than 32 architectural drawings, and diagrams. Also included, a materials & hardware list, and one page of coop photos. Additional questions - please read our FAQ's listed below. Priority Mail is $3.95 within the USA. International Mail is $22.95 to all other countries. DO YOU OFFER AN ELECTRONIC VERSION OF THE PLANS? No . Plan sets are only available in printed form. We do not sell or email pdf versions of the plans or material list. No exceptions. HOW MANY CHICKENS WILL THE COOP ACCOMMODATE? The coop easily accommodates 6-9 hens. 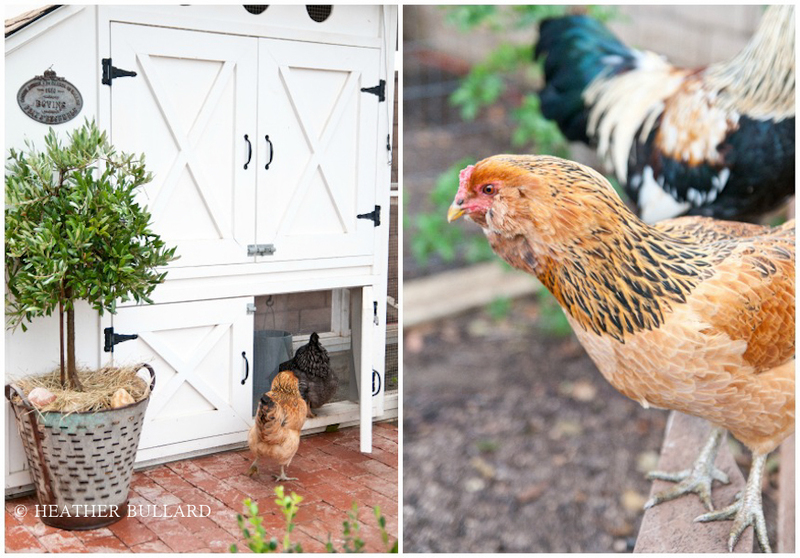 Many customers have expanded the coop to suit their flock size. We suggest researching the amount of square footage needed per hen to estimate your own personal needs. WHAT IS THE SIZE OF THE COOP? The coop measures approx 11'L x 7'H x 4'D not including the cupola. We gladly accept Visa, MasterCard, Discover and AmEx credit cards through PayPal. Their service provides secure encryption, fraud protection and financial information privacy for both buyer and seller. No, you are not required to have a PayPal account. You may use your credit card through PayPal without having to open an account with them. DO YOU OFFER INSTRUCTION OR ADVICE ON BUILDING OR INSTALLATION? Sorry, but we do not offer advice on building or installing the coop. The cost of supplies will vary depending on the area you live in, your access to materials, whether you use a national chain or local building supply, etc. Due to these variables, we are unable to quote supply costs. IS THERE A MATERIALS LIST INCLUDED? Yes. There is a detailed materials list including lumber and hardware. HOW ARE THE PLANS SHIPPED TO ME? The plans are folded in half in a cardboard Priority Mail envelope and shipped to the address associated with the PayPal account. Yes! International Mail is $22.95 to countries outside the US. If your question wasn't answered here, send us an email at chezpouletcoop@gmail.com.